The new SP Max Drive power tool program has been developed to offer superior performance to automotive, industrial and trade applications. Each SP Max Drive tool offers the best componentry for longevity and durability for the life of the tool and are rated in real working torque for real performance with optimal size, weight and comfort. The core to the SP Max Drive program are the Max Core microprocessors that offer the ultimate charger to battery to tool interface to improve outright performance. We have embedded microprocessors in all three components to give users longer run times, charge and discharge protection, intelligent current flow and temperature protection. With SP Max Drive using Max Core technology we can offer more work time, more power, more recharges and ultimately better performing tools. 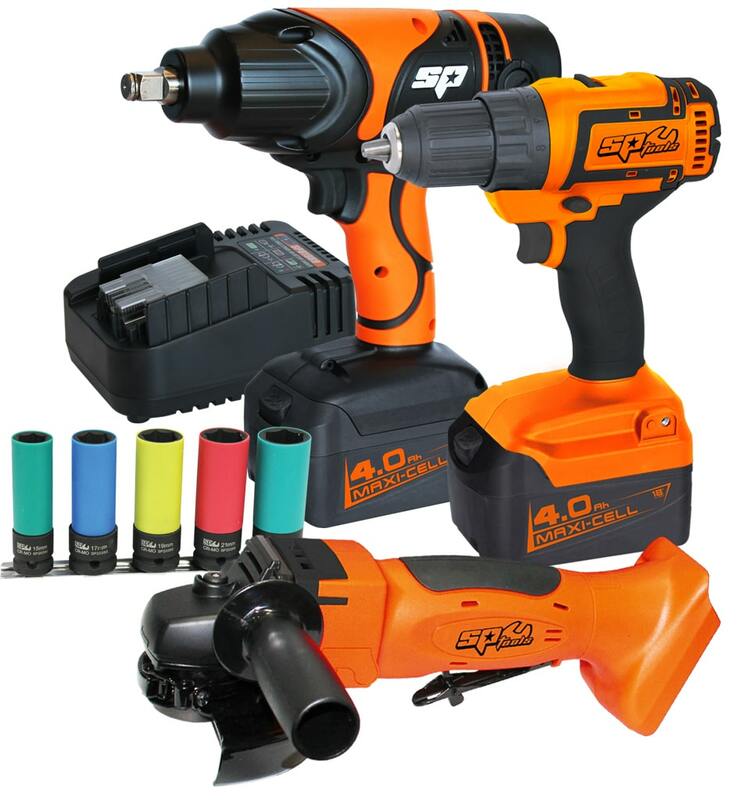 The SP Max drive cordless range is powered by next-gen INR chemistry battery cells. The INR chemistry combines the safety and low resistance of Manganese and the high energy capacity of Nickel. When we combine these cells with Max Core electronics, the result is a battery pack with superior performance and safety or in simple terms, the very best available. 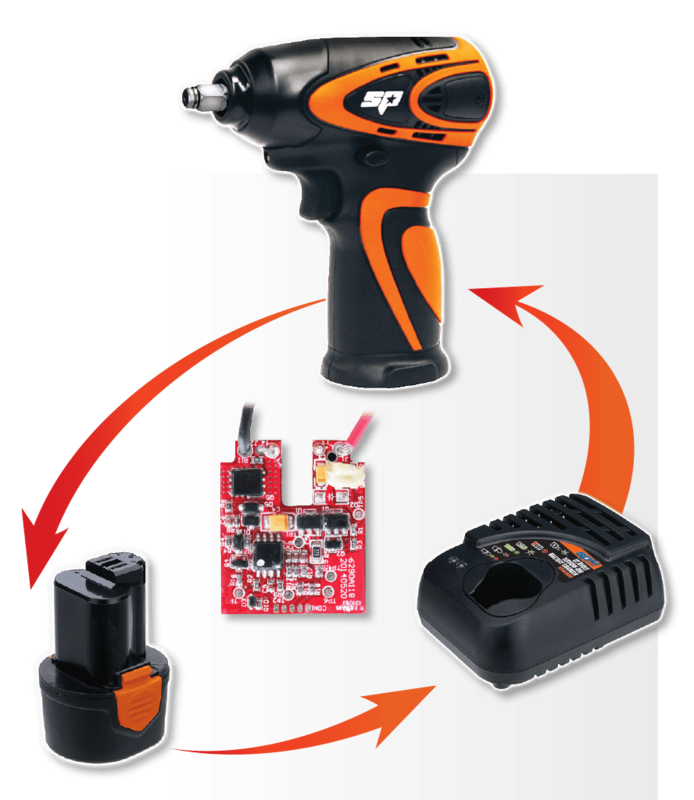 SP Cordless Tools are covered against manufacturing defects or faulty materials. This warranty does not cover overloading, abuse, misuse and normal wear and tear. All SP Cordless Tools are designed and manufactured for specific purposes and if not used for that intended purpose they will not be covered by the 24 month warranty. This 24 month warranty is in addition to what is covered in the Trade Practices Act (Aust), all state and territory laws and regulations and the Fair Trading Act (NZ). Tools that fail due to manufacturing defects or faults may be returned to a SP Cordless Tools authorised dealer for repair or replacement at the sole discretion of Austech Industries Pty Ltd.
SP Cordless Battery Packs are covered against manufacturing defects or faulty materials. This warranty does not cover overloading, abuse, misuse and normal wear and tear. All SP Cordless Battery Packs are designed and manufactured for specific purposes and if not used for that intended purpose they will not be covered by the 12 month warranty. This 12 month warranty is in addition to what is covered in the Trade Practices Act (Aust), all state and territory laws and regulations and the Fair Trading Act (NZ). Tools that fail due to manufacturing defects or faults may be returned to a SP Cordless Battery Packs authorised dealer for repair or replacement at the sole discretion of Austech Industries Pty Ltd.
SP Cordless Battery Chargers are covered against manufacturing defects or faulty materials. This warranty does not cover overloading, abuse, misuse and normal wear and tear. All SP Cordless Battery chargers are designed and manufactured for specific purposes and if not used for that intended purpose they will not be covered by the 12 month warranty. This 12 month warranty is in addition to what is covered in the Trade Practices Act (Aust), all state and territory laws and regulations and the Fair Trading Act (NZ). Tools that fail due to manufacturing defects or faults may be returned to a SP Cordless Battery Charger authorised dealer for repair or replacement at the sole discretion of Austech Industries Pty Ltd.